OKLAHOMA CITY — A federal jury on Tuesday convicted a former Oklahoma gubernatorial candidate and zookeeper in an attempted murder-for-hire plot. 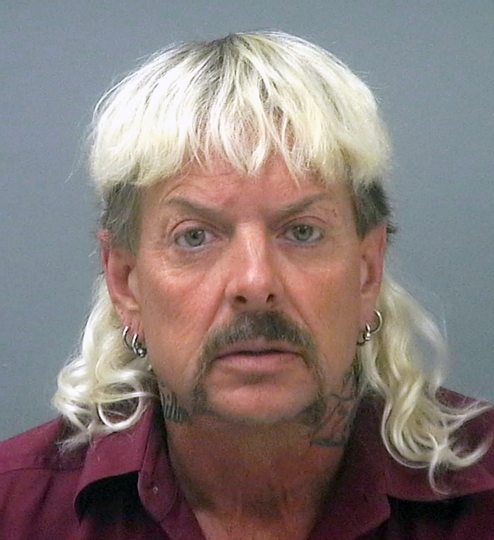 Maldonado-Passage, known as "Joe Exotic," was also found guilty in the deaths of five tigers, and selling and offering to sell tiger cubs in violation of the Endangered Species Act. He faces more than 20 years in prison. Prosecutors say Maldonado-Passage offered $10,000 to an undercover FBI agent to kill Baskin, and the conversation was recorded. Maldonado-Passage's attorneys say their client wasn't being serious. Known for his blonde mullet and expletive-laden rants on YouTube, Maldonado-Passage finished third in a three-way Libertarian primary in 2018. Maldonado-Passage also appeared on John Oliver's "Last Week Tonight" when he was a 2016 write-in candidate for president.